We are currently accepting application forms for the 2018-2019 school year. Please fill out ALL fields of this form. If you have any questions or concerns you'd like to discuss with us, or would like to request a printable registration form please contact us . Does your child speak/understand Hebrew? Has your child ever had a psychological assessment? Does your child have any food allergies or special needs we should know to better accomodate him/her in thew class? Does your child have any allergies, other medical conditions or special needs we should be aware of? Yes No If yes, please describe them and indicate special precautions or care needed. As the parent(s) or legal guardian of the above child, I/we authorize any adult acting on behalf of Chabad of Camarillo Hebrew School to hospitalize or secure treatment for my/our child, I/we further agree to pay all charges for that care and/or treatment. It is understood that if time and circumstances reasonably permit, Chabad of Camarillo Hebrew School personnel will try, but are not required, to communicate with me/us prior to such treatment. I/we hereby give permission for my/our child to participate in all school activities, join in class and school trips on and beyond school properties and allow my/our child to be photographed while participating in Hebrew School activities. I/we also understand that all liability and costs resulting from damage to property and/or personal injury caused or attributable to my/our child/children will be my/our responsibility and I/we agree to fully indemnify and save Hebrew School and it’s associates, teachers and agents harmless therefrom.  I/we consent to Chabad of Camarillo Hebrew School’s use of our personal information and of our child/children at its discretion in pursuit of school activities. The tuition can be paid in full when registering your child. Alternatively, it could be broken up into two equal payments, but only with checks. 1st payment is upon registration. 2nd payment is due by December 31, 2018. Head-checks dated for each of these dates are due at registration. Please make all checks payable to Chabad of Camarillo and submit them together with the registration form. There are no refunds or credits for days missed due to illness, holidays, or family vacations. Charitable tax receipts will be issued for the full amount of all tuition fees paid.